January seemed to go on forever, but February flew! Wow! I can't believe it's March. So here's how my goals went last month, and what's on tap for March! My goal was to finish the emergency fund this month. That didn't happen, because I had to make a withdrawal from my emergency fund--my printer died. :( So while I was unhappy about having to use the emergency fund, I was glad it was there! I've continued to use the every dollar app to keep track of my budget, and reconciled my checkbook daily with my online bank account. March goal: Finish baby step one!! Goal for the month: To write a new proposal. Progress: Well.....this didn't happen. Sigh. The month sort of got away from me in this regard. I know I have to make progress here. I'm tentatively moving this to March, and am going to schedule a writing session out of the house (meaning, at a Starbucks or somewhere laptop friendly) where I can get this done. Writing was done in February--just not this particular writing. February goals: Attend the Columbus Catholic Women's Conference; Mass weekly; confession on First Friday; holy hour; continue daily lectio! Progress: I made some decent progress here. I attended the conference and had a great time. I'll have to write about it soon. (Note to self). I did make it to Mass last week! Yay! I went to confession! Yay! I had a holy hour! And I've been doing daily lectio! So some great progress here. February goal: Be better about exercising. Something EVERY DAY, even if it's only for five minutes. Progress: I did pretty well here! I'm looking at my PowerSheets and more often than not, the box for daily exercise is checked. One of my big things is trying to always meet my daily move goal on my Apple Watch. Even if I don't exercise, I want to hit that move goal! I've been doing that, and the goal is steadily increasing, so that makes me feel good. Last week, I also re-upped for yoga glo. I'd done this years ago, but now I really think I need that daily outlet for practice. I've been doing the classes, and I find it's a great way to start or end my day. Even if the practice is hard (like this morning's was! ), it's still learning, it's still growth, it's still movement. And I feel better when I've done it. I've also been making a conscious effort to get enough sleep. I need at least nine hours. I feel better when I get it. I function much better. So, that's an important part of this, too. February goals: Keep working on commissions! Progress: Definitely good progress here. Finished one, am about to finish another, and then I have two more after that! Whew! February goals: Doing Nancy's Contentment Challenge again, February through April! I've made progress here, but I want to make more. It takes a long time to stop comparison and perfection from taking up brain space. Also, be consistent in zeroing out every night! Progress: Started the Contentment Challenge on Ash Wednesday. It's quite Lenten. :) I might have to add some weeks to it because my birthday is during the challenge! We'll see. Every Thursday I read the next week's devotional in Nancy's ebook. Zeroing out was...iffy. I HAVE to get better at this. I'm thinking I'll set an alarm at 9:00 on my phone, to get up and do it. I do like the house better in the morning when I do this! It GROWS! I did a ton of work on it yesterday. I'm in to the last two sections! There were times in February when it seemed hard to keep trucking on my goals. It's so much easier just to stay in the same pattern and not push myself to grow. But that's not what I'm here for. I am here to grow! So this is my reminder to myself. 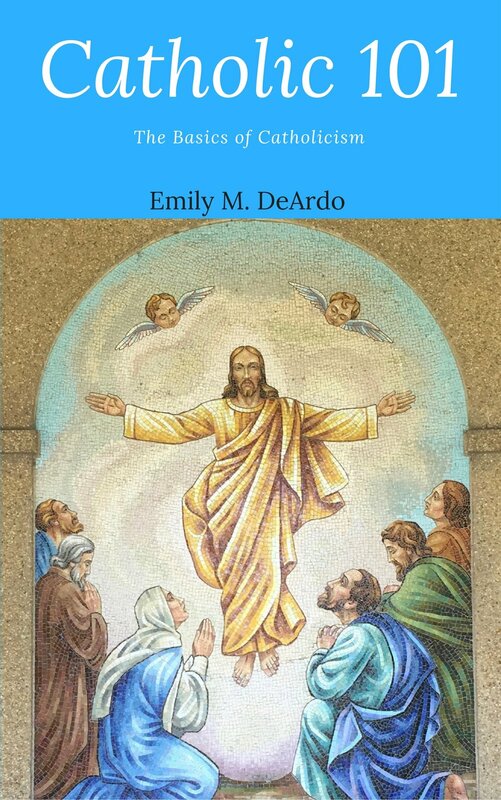 My ebook, Catholic 101, is STILL available! It's always available! Go buy it! Goal Setting 2018: Part Five--my goals for the year! Today is the last installment in the 2018 Goal Setting series! Yay! So after all of the previous posts, here are the goals I'll be working on in the coming year. Matthew 6: 19-21 “Do not store up for yourselves treasures on earth, where moth and rust consume and where thieves break in and steal; but store up for yourselves treasures in heaven, where neither moth nor rust consumes and where thieves do not break in and steal. For where your treasure is, there your heart will be also. Starting Steps: Cut out unnecessary spending and place that money in the emergency fund; set up debt snowball; use every dollar app to create and manage budget. How I will feel at the end of the year having made progress on this goal: Empowered! Proud of myself. How I will celebrate progress/completing this goal: Doing my own debt-free scream. How I will know I accomplished or made progress on this goal, or what progress looks like on this goal: Emergency fund, being debt free! Romans 15:13 May the God of hope fill you with all joy and peace as you trust in Him. 2 Peter 3: 9 The Lord is not slow about his promise, as some think of slowness, but is patient with you, not wanting any to perish, but all to come to repentance. The positive effect taking action on this goal may have: Fulfilling my dream; bring glory to God; encouragement to others! How I will feel at the end of the year having made progress on this goal: OVER THE MOON!!!! How will I celebrate making progress on this goal? I'm not sure! Starting Steps: Draft new proposal; blog course; re-read the manuscript (? Not sure about this). I Thessalonians 5:15-24 See that none of you repays evil for evil, but always seek to do good to one another and to all. Rejoice always, pray without ceasing, give thanks in all circumstances; for this is the will of God in Christ Jesus for you. Do not quench the Spirit. Do not despise the words of prophets, but test everything; hold fast to what is good; abstain from every form of evil. How I will feel at the end of the year having made progress on this goal: Peaceful, stronger, more rooted in Christ. How I will know I accomplished or made progress on this goal: Good prayer routine; constant trust in God; weekday Mass every week. Starting Steps: Daily Vespers; holy hour monthly; Bible reading daily. 1 Corinthians 6: 19-20 Or do you not know that your body is a temple of the Holy Spirit within you, which you have from God, and that you are not your own? For you were bought with a price; therefore glorify God in your body. 1 Corinthians 9: 24-27 Do you not know that in a race the runners all compete, but only one receives the prize? Run in such a way that you may win it. Athletes exercise self-control in all things; they do it to receive a perishable wreath, but we an imperishable one. So I do not run aimlessly, nor do I box as though beating the air; but I punish my body and enslave it, so that after proclaiming to others I myself should not be disqualified. Positive effect taking action on this goal may have: A better, healthier life! How I will feel at the end of the year having made progress on this goal: Physically better--stronger, for one thing. I'm already seeing progress here but I want to continue it. How I will celebrate making progress on, or completing, this goal: New clothes, because I'll need them! Starting steps: Create daily exercise plan, like Lara's #runliftpraise, continue to incorporate new recipes and new foods into my eating plan. 1 Peter 4: 10-11 Like good stewards of the manifold grace of God, serve one another with whatever gift each of you has received. Whoever speaks must do so as one speaking the very words of God; whoever serves must do so with the strength that God supplies, so that God may be glorified in all things through Jesus Christ. To him belong the glory and the power forever and ever. Amen. How I will feel at the end of the year having made progress on this goal: Happy--that I was able to provide products people wanted, and made progress on this goal AND goal number 1! How I will know I accomplished or made progress on this goal: Money for Goal #1, more/repeat customers. Starting steps: current commissions; knit items for Etsy shop listings. How I will feel at the end of the year having made progress on this goal: Clearer, peaceful, satisfied. How I will know I accomplished or made progress on this goal: A clutter-free, peaceful house; fewer "things" around. Resources: The Nesting Place; A Simplified Life. I am so excited to kick of 2018. This year was a great year--I made a lot of progress, which you can see in the earlier parts of this series--but I'm thrilled to make 2018 my most cultivated, intentional year year! Hi! Welcome back to the goal setting series! If you're just joining me, here are the installments so far: Part One, Part Two, Part Three. Review all the pages I've written so far. Lara really stresses this point, because the goal is to uncover things that you're thinking about. And you can't do that if you just zoom through the prep work! There are things that have been long-term goals for awhile now. And everything I've been doing helps reach the goal. So, one of my goals is "get the book published." Obviously, that has tons of little steps that are all under that goal umbrella. Same with creating financial security. *continue to eat well/exercise to care for my body. *Deepen my relationship with God. *Barton Cottage Crafts--expand. Etsy shop? *LESS at home. Simplicity. Peace. Will this goal help me to cultivate what matters? – Will this goal help me get to where I want to be when I’m eighty years old? – Does this goal help other people? – WHY do I want to make this goal happen? Am I desiring this goal for the right reasons, or am I striving for “perfect”—or whatever I’ve been chasing? If the answer is NO to any of these questions, then it’s possible it’s not the best use of your precious time. Don’t run in circles with goals that don’t directly connect to what matters most. Focus on what really matters to you in the big picture. Cross goals out that don’t 100% fit. Be bold and take leaps of faith as you write. – Does this goal help draw me and others closer to God? – Does this goal rely on my strength or God’s? – Does this goal help me steward what I’ve been given well? Financial Peace: It draws me closer to God by relying on Him and His providence; it relies on His strength--He has to give me the right spirit to do this; and it definitely helped with stewardship! Matthew 6:25, 33 Do not worry then, saying, ‘What will we eat?’ or ‘What will we drink?’ or ‘What will we wear for clothing?’ For the Gentiles eagerly seek all these things; for your heavenly Father knows that you need all these things. But seek first His kingdom and His righteousness, and all these things will be added to you. Blogging/Writing/Book Proposal: Yes, because the book is so much about God and what He's done for me, and I want to share that with others; I have to trust in God (word of the year!) to get this done, to shepherd it to the places it needs to go. I just write. Taking care of my body: losing weight/exercise: Yes, because it keeps me healthy and able to do God's work; I need His strength to continue making the right choices, even if they're not ones I'd naturally make; and I've been given a new life--literally. I have to take care of this body! Deepen my relationship with God: this sort of goes without saying, right? He is LIFE. To do everything else, I have to be in deep, intimate relationship with Him. Creating a peaceful, simplified home: Yes, because it involves good stewardship of what I've been given (money and my home), it allows me to extend hospitality, and to be able to do my work more efficiently. I'll talk more about this when I actually tell you my goals! Just joining me? The rest of the series is here and here! This might be my favorite step--where you go back and look over everything you've written, circling, marking, highlighting (etc.) all the things that stand out to you. This is where the goals will come from! And it can be very enlightening, to see that what I thought I wanted to do isn't really what I was writing, or what my mind/spirit wants to do. Or, what God wants me to do. This has been my word before. But I think this year I need to re-active it and really remind myself to do what it says. God's got this. I have to go where He leads, but trust in where He's leading. The first entry in this series can be found here! 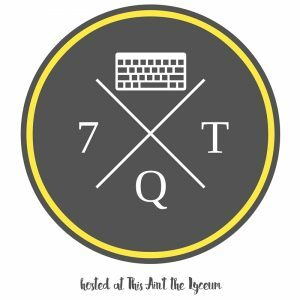 In the first entry in this series, I looked back on 2017. What worked? What didn't? What were my big takeaways? I found a lot of good things there! So, knowing all that, I'm ready to move on to the next steps. What's one thing I want to cultivate in the year ahead? I want to cultivate fresh starts and possibilities, and peace. What challenges did I face in 2017? I didn't send out as many book proposals as I wanted to; my exercise plan wasn't consistent, although it got better in the last few months of the year. Who helped me cultivate what matters in 2017? There is a whole list in my PowerSheets about this, and I have been so blessed with great friends and opportunities this year. If I listed them all, we'd be here for ever, but I will say that the people I met at Making Things Happen were HUGE motivators for me to go home and really CHANGE THINGS UP. Just a few people I love: Sarah Jane, Mary, Abby, Andrea, Elizabeth F., Elizabeth Y., Lydia and Paul Michael, Tiff, Alissa, Br. H, my siblings, Lisa, Fr. Stephen, Fr. Charles, Aunt Judy, Grandma, Sarah N, my BCC customers, Lara, Rhi and Gina.....SO MANY PEOPLE. Really. Hugs! Have you thanked the people that make your life better? Take some time to do that this holiday season! Even if it's just a text, it's a movement of gratitude and love that the person will cherish! Can you believe it's almost Christmas? Or the end of 2017? Where has this year gone?! 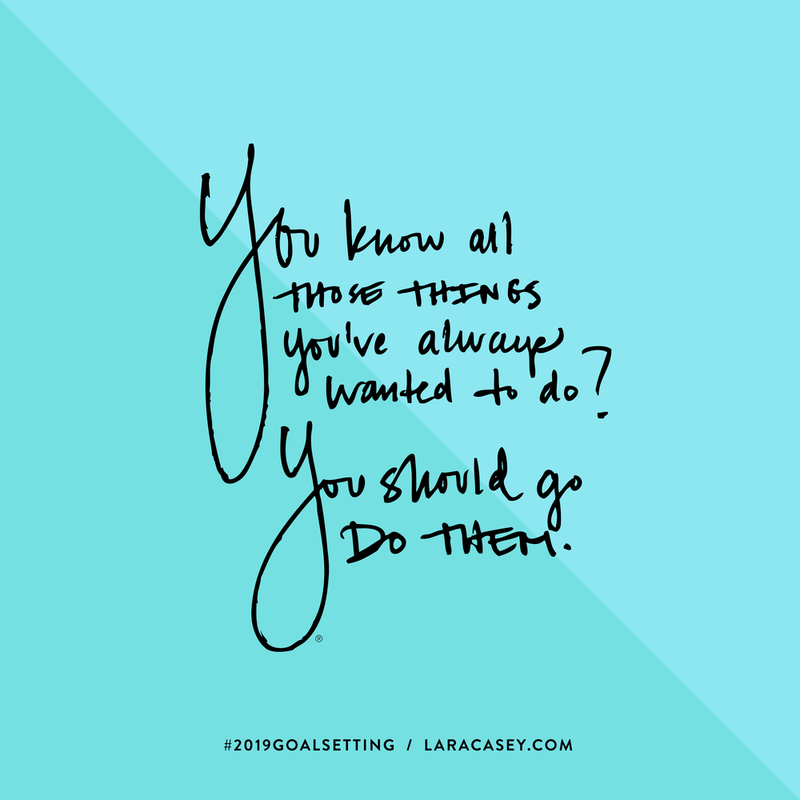 One of my favorite parts about this time of year (other than Christmas, of course) is that Lara Casey starts the Goal Setting series on her blog. If you've been reading here for any length of time, you know how much I adore Lara and her Power Sheets. I had the great privilege of attending her Making Things Happen conference in March, and wow, Lara is just amazing. Her series kicked off yesterday, and it has inspired me to write my own. I've done this sporadically over the years, but one thing that I'm going to do in 2018 is write monthly updates about my goals, both to keep me accountable, and, hopefully, to inspire you to set your own goals! How did 2017 go? How do I feel about various areas of my life? Health: I made a lot of strides here this year. I've lost 26 pounds, and still going, I've dropped inches and clothing sizes...I'm really happy with how things are going here. I am committed to continuing this work in 2018! Friends: I am so fortunate to have lots of deep, fruitful friendships. Family: Like the friend category, I have strong relationships here. I get support from them. We spend time together. This is all good. And my brother's getting married in May, so I'm adding a sister-in-law! Finance: Ehhhh. In September I recommitted to doing Dave Ramsey's 10 baby steps. Right now I'm in Baby Step #1--building an emergency fund. Want to know where the money from the book and scarves go? It goes right there. :) It's helping build financial security. Yay! Spiritual and personal growth: I have a pretty good prayer life. I want to go deeper and make this a true priority. Not just a lip service priority. Work: Work has been amazing this year! I released Catholic 101, started Barton Cottage Crafts, and I've grown my blog audience. I am so thankful for all my wonderful readers! And there's more to come in this area in 2018. I am choosing PURPOSE over PERFECT. That's what Making Things Happen in March taught me. Choose the CULTIVATED GOAL. Choose that good things. The things God has created me to do. STOP chasing someone one's story. Live my story. Sit in the dirt. Growth through the dirt. Cultivate what matters. 1) Deepen my relationship with God through daily Mass, and Liturgy of the Hours, and writing the Word to get deep into His Word. How'd I do? : WELL! My editing job actually forces me to get deep into Scripture, which is so funny. God clearly wanted me to work on this goal! I am making progress in weekday Mass attendance, monthly confession, and saying the Liturgy of the Hours. This will all continue in 2018. 3) Be healthy by losing weight, exercising, and journaling. 4) Get the book published by querying agents, growing the blog, and writing new pieces for publication. How'd I do? Did well in cultivating my audience, releasing the ebook, and writing new pieces for publication (See here). Need to get back on the querying bandwagon. 5) Be a "fierce, fierce friend" by being hospitable, being there for others, and loving big. Reimagine blog brand, mission, statement and purpose--did this in the spring! And I'll be taking a fresh look at it again in January. 6) Feed my creativity by drawing, knitting, sketching, languages, etc. How'd I do? Super well. I really love making time to do these things. They feed my soul! And I'm taking a watercolor class in January so I'll be continuing to improve in this area, too! 7) Simplify my spaces: Less stuff, MORE beauty and organization in order to increase peace, stability, and encourage hospitality. I re-phrased this in the summer to: Create a true, nourishing home by simplifying, decorating, and tidying (cleaning) to create beauty and calm. How'd I do? Well, as I write this, I've got Christmas baking dishes piled in the sink waiting for their turn in the dishwasher! So if you were at my house right now, you'd think, not! But I have made progress here, too. I did more book decluttering, more closet cleaning, and I've been making a point to keep spaces clear and only keep things I love and use around the house. 1) I CAN LOSE WEIGHT. This was HUGE for me. I've always thought that because of the prednisone that I will be on for the rest of my life that I'd never reach a healthy weight. AND I CAN! That's amazing to me. 2) I WROTE A BOOK! After three years of work, Catholic 101 is a real book that real people can read. I am so thankful that I did this. HUGE goal for me, accomplished! 3) Lots of people feel the same way I do. I learned this at Making Things Happen. NO ONE has it all together. EVERYONE is nervous about stepping out and working on their dreams. Everyone! We are all in this together!!! Whoa! Writing this has REALLY inspired me to do great things in 2018! And there are more entries to come! How about you? What was 2017 like for you? What did you accomplish? Are you afraid of chasing your goals? What good things did you learn? What do you want to bring into 2018?